KONTAN.CO.ID - JAKARTA. 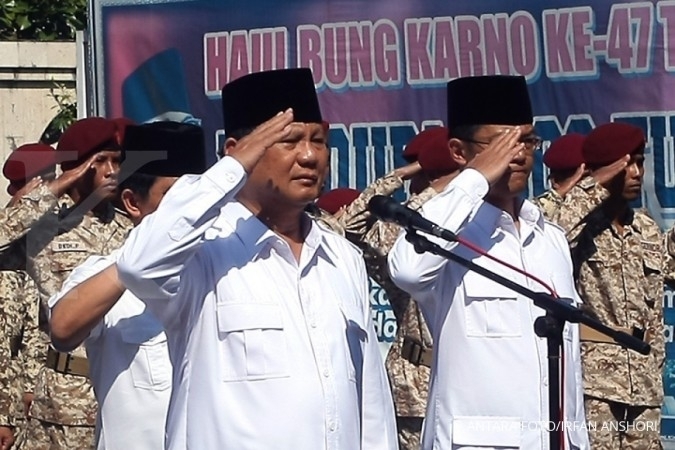 The Gerindra Party's list of potential running mates for chairman and presidential hopeful Prabowo Subianto is down to five names. "From the PKS [Prosperous Justice Party], there are only two names remaining, [former West Java governor] Ahmad Heryawan and Ustadz Salim Segaf al-Jufri; from PAN [National Mandate Party], there is only [PAN chairman] Zulkifli Hasan left,” Gerindra central executive board head Ahmad Riza Patria said on Thursday. He said Gerindra would also consider National Awakening Party (PKB) chairman Muhaimin "Cak Imin" Iskandar if the PKB was to join Gerindra's coalition. 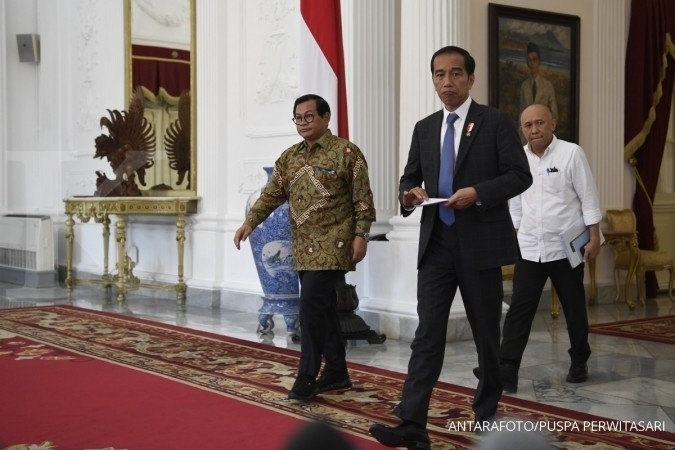 President Joko "Jokowi" Widodo said recently that his list of potential running mates was down to five candidates, but refused to reveal the names. 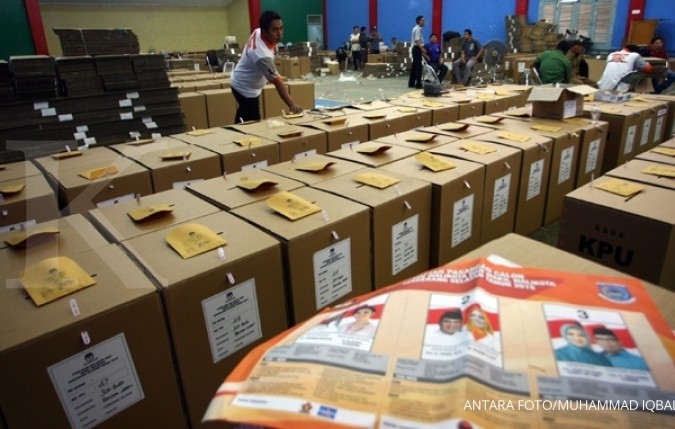 With only 73 House seats, Gerindra needs coalition partners to be able to field a candidate. Four parties with significant vote shares have yet to officially back a candidate: PAN, the PKS, the PKB and the Dems. 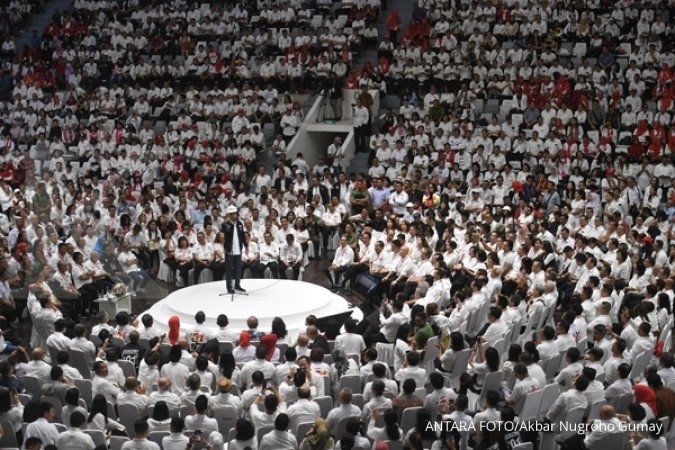 PAN and the PKS have worked together with Gerindra recently, most notably during the contentious 2017 Jakarta gubernatorial race, but neither party has officially endorsed Prabowo's candidacy. 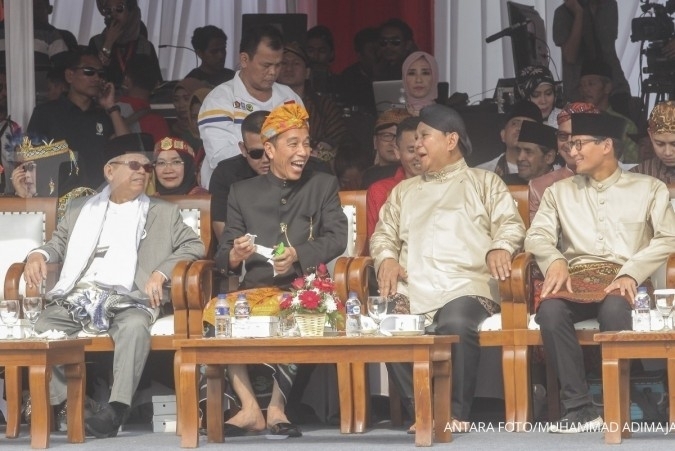 The PKB has vacillated between Jokowi and Prabowo, while the Dems have toyed with the idea of nominating a third ticket. However, Ahmad Riza seemed confident that Gerindra's loose coalition would hold, saying: "To this day, the coalition continues to grow stronger, with Gerindra, the PKS, PAN, and, God willing, the Democratic Party”.